Private school graduates lag far behind their peers from public universities in the job market, an inaugural employment survey released yesterday has found. Many not only had a tougher time landing full-time jobs compared with public university graduates, but they also commanded lower starting salaries. 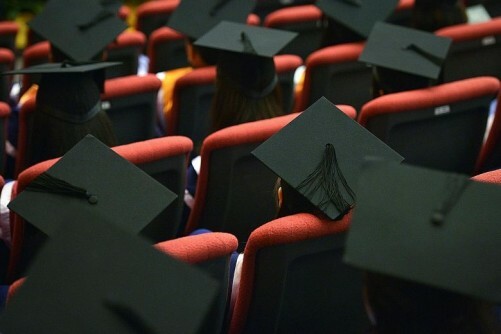 The survey by the Committee for Private Education, which regulates the private education industry, offers the first comprehensive picture of how Singaporeans who get their degrees from private education institutions fare in the job market. Similar surveys have been done for the autonomous universities, polytechnics and the Institute of Technical Education. The results showed that just six in 10 (60.1 per cent) private school students found full-time permanent work within six months of finishing their studies. Their median starting pay, the midpoint salary in a range, was $2,550 a month. This contrasts with the 79.9 per cent full-time job rate of graduates from the autonomous universities - the National University of Singapore (NUS), Nanyang Technological University, Singapore Management University, Singapore University of Technology and Design and Singapore Institute of Technology. The median starting pay for graduates from these autonomous universities was $3,325 a month. The broad-based survey, which was conducted from July to September this year, gives a glimpse into the job prospects of private school graduates and also helps prospective students choose between various institutions. It comes after a pilot survey last year revealed similar findings. The latest survey focused on students who graduated from full-time external degree programmes between May 2015 and April last year, and had no prior full-time permanent jobs. Of the 11,003 such graduates, 32 per cent responded. Students might be choosing private schools without having reliable knowledge of their job market prospects after graduation. Many of them might be making decisions with an over-optimistic attitude of what to expect when they graduate. ECONOMICS LECTURER KELVIN SEAH, on prospective students. Some 40 private schools were surveyed in the exercise, of which 29 had graduates from full-time external degree programmes. The survey showed that, in all, 84.3 per cent of private school graduates found work - including full-time, part-time, contract or freelance roles - within six months of finishing their exams. This compares with the 89.6 per cent overall employment rate of graduates from the autonomous universities. Last year's pilot survey also found that private school graduates did not fare as well compared to their public university peers. It showed that 58 per cent found full-time work within six months of finishing their studies. The median pay of these people was $2,700 a month. The pilot survey polled 4,200 students who graduated with degrees from nine private schools in 2014. SkillsFuture Singapore chief executive Ng Cher Pong said the latest results are not surprising, as they are similar to those in the pilot. "We intend to use these survey results to help prospective students to make decisions, particularly those who are at important junctures in their lives where they are thinking hard about whether they should study further, start working or pursue a work-learn pathway." While highlighting that the findings may be skewed as schools of different quality are lumped together, observers said that the less-than-stellar showing gives the private education scene a sobering reality check. NUS economics lecturer Kelvin Seah said: "Currently, students might be choosing private schools without having reliable knowledge of their job market prospects after graduation. Many of them might be making decisions with an over-optimistic attitude of what to expect when they graduate." Jalan Besar GRC MP Denise Phua, who heads the Government Parliamentary Committee for Education, said Singaporeans should not be too quick to conclude that private school graduates are not as good as public university ones. "It is important to conduct a deeper-dive analysis of employer perceptions even before hiring decisions are made, and how graduate applicants are commonly evaluated during screening of applications and at interviews," she said. "It would also be useful to include in the surveys employer feedback on the performance levels of both groups of graduates after a period of employment." Explore career and jobseeking advice here. Stand yourself out for the job of your choice with personal branding and interview tips here.